We looked at the top 10 Packing Cubes and dug through the reviews from 114 of the most popular review sites including Wanderlust Storytellers, Travel Gear Zone, Land Of The Traveler, Road Affair, New York Times Wirecutter, Savored Journeys and more. The result is a ranking of the best Packing Cubes. Our experts reviewed the top 10 Packing Cubes and also dug through the reviews from 114 of the most popular review sites including Wanderlust Storytellers, Travel Gear Zone, Land Of The Traveler, Road Affair, New York Times Wirecutter, Savored Journeys and more. The result is a ranking of the best of the best Packing Cubes. This six-piece set of color-coordinated packing cubes, made of lightweight nylon, boasts incredible durability. The fully finished interior seams feature secure YKK zippers that open and close easily. They also transform into easy-to-use drawers for unpacking in hotels throughout a trip. Plus, they come with a manufacturer-backed lifetime guarantee. DWYM Home Experts plus BestReviews, Best Reviews Guide, Review Finch, An Epic Education, Chasing The Unexpected, Thither and 2 more. Along with user reviews from Amazon. "Lightweight. Made of extremely strong nylon. Manufacturer provides lifetime guarantee." "Does not really compress clothes. When filling the packing cubes, the cubes bulge and don’t fit into the cube shape." These packing cubes have earned rave review, thanks to a budget-friendly price, smart size options and water-resistant material. Made of flexible nylon fabric, the cubes can easily store all kinds of clothes and save space. The four-piece set also includes a bonus laundry bag that doubles as a shoe bag. DWYM Home Experts plus BestReviews, Best Products, Wanderlust Storytellers, Savored Journeys, Travel Gear Zone, Land Of The Traveler and 1 more. Along with user reviews from Amazon and Walmart. "Rugged construction (including top-notch zippers), ample space, lightweight design. Available in six bright colors. Included a laundry bag." "The handles could be larger." This tried-and-true packing cube trio helps simplify packing. Each cube features a translucent exterior so you can see the contents of your packed cube. They also include a handle for easy transfer between bag and drawer on-the-go. This set marked Eagle Creek's packing cube debut more than 20 years ago, and the brand is still a top choice because of its durable construction and smart design. DWYM Home Experts plus New York Times Wirecutter, Wanderlust Storytellers, Savored Journeys, Road Affair, Land Of The Traveler and 1 more. Along with user reviews from Amazon. "Solidly built from quality materials, the Eagle Creek Pack-It cubes are made to take years of abuse on the road. In particular, its mesh weave is finer than that of any of the other cubes we tested, and so is..."
"Overall the quality of the packing cubes could be better! They might be cheaper than the rest, but you get what you pay for!" This packing cube set is as easy on the wallet as it is for organizing and traveling. The fabric containers keep all belongings neatly stored and organized. The material goes beyond storage, helping to protect against wrinkles as well. These cubes are also available in six different colors to keep travelers' items separated. DWYM Home Experts plus New York Times Wirecutter, BestReviews, Best Products, Offers.com, Wanderlust Storytellers, Savored Journeys and 3 more. Along with user reviews from Amazon. "The AmazonBasics Packing Cubes are a good budget-friendly choice because you can typically get a set of four cubes for the same price as a three-pack of our other picks"
"TAs far as I can tell, they don’t come with a lifetime warranty"
We identified the majority of the packing cubes available to purchase. 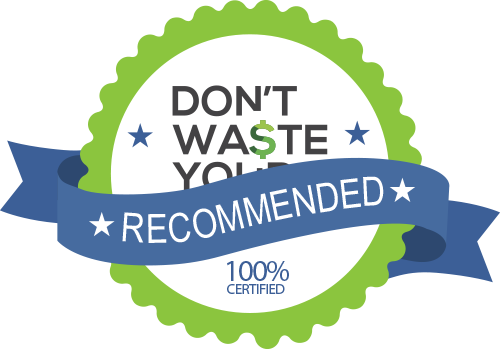 Reviews from our DWYM category experts and analysis of some of the most respected sources including: Wanderlust Storytellers, Travel Gear Zone, Land Of The Traveler, Road Affair, New York Times Wirecutter. We also incorporate user reviews from the leading retailers including Amazon, Walmart. The cubes are made of lightweight nylon and boast durable, fully finished interior seams, along with YKK zippers that open and close easily. The variety of sizes coupled with a lifetime warranty makes them the perfect choice for frequent travelers. Lightweight. Made of extremely strong nylon. Manufacturer provides lifetime guarantee. Inside seams are fully finished for durability and the YKK zippers feature corded pulls for easy opening and closing. A useful aspect in the packing cube is the see through mesh, which allows clothes to air out and to be seen without having to open the cube. Pricey, but you're paying for quality construction and durability. Does not really compress clothes. When filling the packing cubes, the cubes bulge and don’t fit into the cube shape. Soft yet Strong polyester. large mesh top allows user to identify contents. comes in six colors. Double zipper pulls for secure opening and closing. The top layer has a soft mesh which means that you can see inside your cube without having to zip it open. The soft mesh will protect your dedicates. The Amazon packing cubes set includes four bags – small, medium, large and slim. The slim size is great for filling that edge of the suitcase that the other bags don’t fill. The Amazon Basics 4pcs. packing cube set 2-Medium and 2-Large each come with soft mesh top that not only helps users adequately identify their belongings but also protects clothing. However, the zipper doesn’t go smoothly around the corners when the cube is full. The cubes were also bulkier and not as well-sewn as some of the other models I tested in the same price range. Be careful of humidity or wet luggage as the colors can weep onto the clothes. Some users complained that the manufacturers did not add any small sized cubes that could holds the user's accessories. Imagine opening your suitcase during any day of travel and knowing precisely where every piece of clothing, accessory and sock is located. This is not a dream, this is real life. At least it is for everyone who uses packing cubes. Even if you think you have your packing routine down to a science, rolling clothing, tucking socks into boots and playing Tetris with miscellaneous items, prepare to have your mind blown. Packing cubes are the revolutionary accessory that will transform your packing routine and turn you into an organizing professional, at least when it comes to travel. At their most basic, packing cubes are small zippered bags made of durable, lightweight materials. There are a few things you need to know when you start shopping for packing cubes. For starters, there are a variety of materials available. Most are made of canvas or nylon. These fabrics are durable, lightweight and washable. Be wary of those made of plastic. Plastic won’t allow airflow to your clothes. However, plastic will protect them from spills or a soaking from another source. Packing cubes made with mesh components or transparent materials enable you to see what’s inside. However, the mesh can easily snag or rip, making it less durable. Another important characteristic to consider is the weight of the packing cubes. When it comes to luggage and travel, both space and weight are scarce. Most packing cubes only add a few ounces to your luggage. They are well worth it for the space-saving benefits. Most sets of packing cubes are designed with a standard carry-on bag in mind. They also work wonders to compartmentalize and organize duffle bags and backpacks. These types of bags can turn into black holes for clothing without the extra compartments and structure. Packing cubes offer many more benefits beyond organization. They keep all shapes and sizes of clothes neatly tucked away, so nothing goes astray during any part of your journey. You can rest assured you won’t have any embarrassing security episodes or the chance of an errant pair of undies appearing during a luggage search. Thankfully, most packing cubes sets don’t come with a high price tag to match their versatility. In fact, the AmazonBasics 4-Piece Packing Cube Set is around $20 for four durable cubes. And, the Eagle Creek Travel Gear Luggage trio is still under $30, a great value for a set from the company that pioneered the category in the first place. Not to mention, packing cubes consolidate clothing and accessories. As a result, they allow you to squeeze more into less space. Consider any piece of luggage loaded with packing cubes similar to a Mary Poppins bag. They really are that impressive and almost magical. They compress materials and maximize luggage space. Many sets also include folding tips and tricks to help you use the cubes well and maximize your luggage space. All those organizing benefits don’t end when you zip up your luggage and head to the airport. Packing cubes are the travel gift that keeps on giving, throughout a vacation and also with unpacking once you return home. There is a place for everything, and everything is in its place. In fact, some packing cubes include additional compartments to separate clean and dirty clothes. Suffice it to say, once you start traveling with packing cubes, you will never go back. While their original Pack-It system is still available today, Eagle Creek and many other companies have introduced new and innovative updates since then. And, veteran travelers around the world have embraced them and sung their praises. They earn new devotees daily, racking up incredible rave reviews and many frequent flier miles around the world from their organized owners. Packing cubes may seem like a superfluous accessory, but according to many travelers, they are ingenious and an absolute necessity. They work like mini-luggage inside your suitcases. They keep charging cords separate from your socks and your socks from your shirts. It seems every luggage company and remotely related travel company is getting in on the packing cube bandwagon. There are new cubes made by Herschel, Away, and even Ikea and REI designed their own packing cube sets. There’s no telling who will get in the packing cube business next. Packing cubes consolidate, compress and streamline packing so any shape and size luggage stays organized throughout your trip. Packing cubes come in sets of three to six different shapes and sizes. A set is generally made to fit in a standard carry-on suitcase. Packing cubes are especially handy when packing up less structured luggage, like backpacks and duffle bags. Some manufacturers make color-coded packing cubes so it’s easy to pack up a whole family worth of clothes into one suitcase without getting items mixed up. Most are made of canvas or nylon. These fabrics are durable, lightweight and washable. Some packing cubes are made of plastic. Plastic won’t allow airflow to your clothes. However, it will protect them from spills or a soaking from another source. Some sets are made with mesh components or transparent materials, which enables you or your family members to see the items inside. When buying or using these, it’s important to consider that the mesh can easily snag or rip, making them less durable. Helpful features to look for include high-quality zippers, interior seams and durable materials, which all add to the product’s longevity and versatility. There is a slew of color options, prints and designs suitable for the whole family. Purchasing sets of different colors can help separate and distinguish each family member’s clothing. It’s form and function at its best. Though space and weight are limited when it comes to luggage, you can rest easy knowing that most packing cubes only add a few ounces to your bags. For the Packing Cube category, we analyzed 114 of the most popular reviews including reviews from Wanderlust Storytellers, Travel Gear Zone, Land Of The Traveler, Road Affair, New York Times Wirecutter, Savored Journeys and more. The result is a ranking of the best Packing Cubes.